Unfortunately, some plotters will not print correctly with OfficePro. If you are using one of these plotters, use SutView. SutView is a new viewer being developed at Suttles Logging. Import additional curves into the mud log. Generate custom LAS files with just the data you need. View Total Gas in a Logarithmic scale. Load two logs for correlation in the same window. Easily Print to any Plotter or Printer. 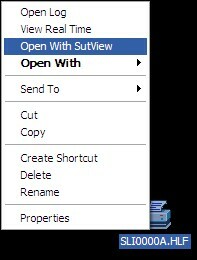 SutView will remember printer settings that are assigned to it. If you followed the instructions for installing OfficePro in this help file, you already have SutView installed. 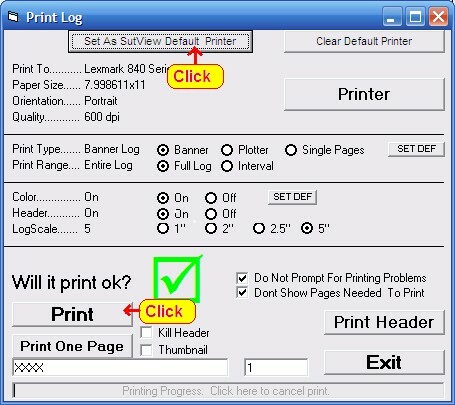 Before printing the first time, setup the printer in Printing Preferences from the Printers and Faxes folder. 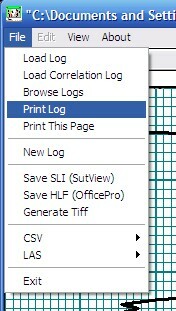 Set the page length to a value longer than the log you are printing or to a length that does not have a fraction. If there is an option for page separation, turn it off. Set the width of the page to the desired width of the log. that is saved on your computer. always use these settings, click Set As SutView Default Printer. to determine beforehand if a particular setting will work. Thats it. If you have any problems, or need more help, feel free to call any time.